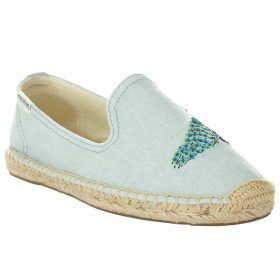 It's the ultimate summer shoe that we just can't get enough of, women's espadrilles. Ideal for those hot summer days and perfect to take on holiday with you, these are the most versatile shoe we know. Looking for more shoes for your holiday? Check out our flip flops category for a more open summer shoe. If you are a fan of something a little more structured then check out our sandals category, full of the best and most stylish sandals on the high street right now. Love a casual style? We also have a great selection of trainers.